Professor Veresov is an Associate Professor at Monash University, Australia. Prof. Veresov has got his first PhD degree in Moscow in 1990. The second PhD was obtained in University of Oulu (Finland) in 1998. From 1999 to 2011 Veresov had been affiliated to Kajaani Teacher Training Department (Finland) as a Senior Researcher and the Scientific Director of the international projects. Professor Veresov is a co-leader of Monash International research group on child and community development and the Deputy Head of Early Years academic community at the Faculty of Education. Professor Veresov is the member of ISCAR Executive Committee and the coordinator of ISCAR in Australasian region. Veresov was the Chair of International Scientific Program Committee of 2014 ISCAR Congress and invited researcher/professor at several Universities in Russia, Poland, and Brazil. Professor Veresov is an Editor-in-Chief of International Research in Early Childhood Education (IRECE) journal, and a co-editor of Perspectives in Cultural-Historical Research Springer international book series. 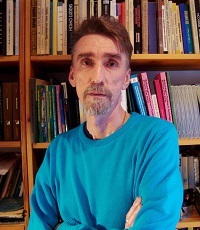 He is a member of Editorial Boards of several journals, such as Outlines: critical practice studies, Cultural-historical psychology and International Research in Early Childhood Education. Professor Veresov published 5 books and over 70 articles available in 10 languages. His area of interests is development in early years, cultural-historical theory, cultural-historical genetic research methodology and psychology of leadership in education.